This originating post constitutes a new macOS 10.13 High Sierra Desktop Guide for Skylake-X/X299, which certainly can still grow and improve by your estimated user feedback. This Skylake-X/X299 10.13 High Sierra Desktop Guide bases on the ASUS Prime X299 Deluxe. However, also other X299 ASUS mainboard models or X299 mainboards of other brands might be compatible with this guide after likely considering and implementing few mandatory modifications not accounted by this guide (see post #5079 for further clarifications). The i7-7800X (6-core) was chosen as the Skylake-X Startup Configuration Model in order to minimise the guide development costs. It has been replaced within the goal configuration by the i9-7980XE (18 core). All other Skylake-X models compatible with this guide are detailed in the figure below. Thanks to a very recent iMac Pro dump performed by @TheOfficialGypsy, we now have been able to successfully implement the necessary iMacPro1,1 details in both Clover_v2.4k_r4369 (thanks to Sherlocks) and Clover Configurator v4.60.0.0 (SMBIOS details, thanks to Mackie100) by beginning of January 2018. In collaboration with @macandrea we first achieved the direct implementation of macOSHigh Sierra 10.13.2 (17C2120), and now also the direct implementation of macOSHigh Sierra 10.13.6 (17G65) final release. 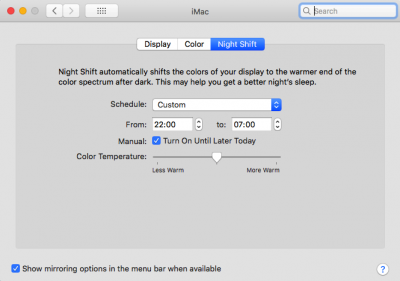 We also reached Native Display Brightness Control / Native NightShift Functionality for Monitors with DCC/IC Support like the LG 38 inch display thanks to users @Bendge and @Ramalama. Since 10.13 SU and with AppleIntelPCHPMC, Apple now e.g. implements IOPCIPrimaryMatchID "a2af8068" and AppleUSBXHCISPT on the ASUS Prime X299 Deluxe. All external and internal XHC USB 3.0 (USB 3.1 Gen 1 Type-A) and USB 2.0 (USB 2.0 Gen 1 Type-A) ports should work at expected data transfer rates on all X299 mainboards. All external and internal USB 3.1 (USB 3.1 Gen 2 Type-A and Type-C) ports are anyway natively implemented on different controllers than XHC and also work at expected data rates. Anybody unhappy with the current XHC USB OSX implementation can create a board specific XHC USB Kext by following my XHC USB Kext guideline to be accessed at https://www.tonymacx86.com/threads/macos-high-sierra-10-13-xhc-usb-kext-creation-guideline.242999/. Note that my most actual respective X299 EFI-Folder distribution does not contain any default audio configuration. You have to implement the audio approach of your choice during the Post Installation process in Section E.)! You can select between three possible audio implementations detailed in section E.3): 1.) The AppleALC audio approach (section E.3.1) bases on AppleALC.kext v1.3.2 and Lilu.kext v1.2.7 and could be implemented thanks to the extensive efforts and brilliant work of @vit9696, @apfelnico 2.) The VoodooHDA audio approach (section E.3.2) bases on the VoodooHDA.kext v2.9.0d10 and VoodooHDA.prefPane v1.2. 3.) Finally, @toleda 's cloverALC audio approach (section E.3.3) bases on the realtekALC.kext v2.8 and on an additional pathing of the native vanilla AppleHDA.kext in the /S/L/E/ directory of the System Disk and has been successfully implemented thanks to the instructions and help of @Ramalama. The correct HDAU HDMI/DP digital Audio PCI implementation will be detailed in Section E.9) of this guide in line with the HDEF and GPU PCI device implementation. In May 2018, @mm2margeret pointed me even to a fully working 10GBit Lan Solution (thanks to @mikeboss, @d5aquep and @Mieze) based on the ASUS XG-C100C 10-Gigabit Ethernet PCIe x4 Adapter. The latter adapter employs the same Aquantia AQC107 chip like the iMac Pro. How to successfully implement and run the ASUS XG-C100C is detailed in Sections E.8.2.1) and E.9.9). In addition, I also successfully implemented and tested the Intel X540-T1 single port 10GBit LAN PCIe Adapter after some Ubuntu modding of it's EEPROM to be compatible with the Small-Tree 10GB macOS 10.13 driver (see Sections E.8.2.2 and E.9.9 ). I now however use this latter adapter in my X99 rig. The Small-Tree P2EI0G-2T 2-Port 10GB LAN PCIe Adapter constitutes my actual 10GBit LAN implementation, working OoB with the Small-Tree 10GB macOS 10.13 driver. The 10Gbit NIC connects with a NetGear ProSave XS508M 8-port 10GBit switch, which further connects with a QNAP TS-431X2 Quad-core 4-Bay NAS tower with Built-in 10GbE SFP+ Port that harbours 4x 12 TB Seagate IronWolf in RAID 0 configuration (optimised for read/write speed). Let me express my gratitude to @gxsolace at this place for providing me with 1x Intel X540-T1, 1x Small-tree P2EI0G-2T and 4x 12 TB Seagate IronWolf hardware. You are just awesome! Excellent news concerning CPU Power Management: ASUS, MSI and ASROCK mainboards allow now for manually unlocking the MSR 0xE2 BIOS Register along their X299 mainboard series. The MSR 0xE2 BIOS Register of all Gigabyte mainboards is anyway unlocked by factory default. The manual unlocking of BIOS 1301 for the ASUS Prime Deluxe however still causes issues with respect to sleep/wake functionality and Skylake-X TSC. Therefore we have to enable the MSR lock in the BIOS settings but patch in advance the 1301 BIOS firmware by means of 3 patches provided by @interferenc. By this we achieve fully native HWP (Intel SpeedShift Technology) CPU Power Management for all Skylake-X processors on all mainboards with unlocked MSR 0xE2 BIOS Register, resulting in absolutely brilliant and top-end CPU performance (see Section E.1). With all unpatched mainboards we witness however some TSC desynchronisation of the Skylake-X threads at boot and wake from S3. Until further microcode updates are performed by the mainboard manufacturers, we therefore have to use the TSCAdjustRest.kext provided by @interferenc in this case. Good new also for all users of C422 and XEON-W System. This guide seems also fully compatible with your systems, see post #2214. 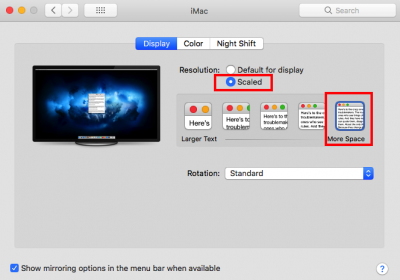 This chapter includes a general guideline how to perform the initial setup of your iMac Pro with macOS High Sierra 10.13.6 (17G65). In case that somebody fails in downloading the macOS High Sierra 10.13.6 (17G65) full package installer from the Appstore on non-iMacPro systems, I also provide a sophisticated full package installer creation workaround, which bases on pristine sources from Apple. Now enjoy and have have fun with the detailed guidelines below. Many thanks to @paulotex for committing the efforts in providing the Table of Contents detailed above. Before applying the specific settings, please provide your ASUS X299 Prime Deluxe with the most actual BIOS firmware 1301. At least with the i9-7980XE it is not anymore necessary to fix the CPU Core Voltage in the ASUS mainboard BIOS to a minimum value that still provides flawless system boot and full system performance during CPU max. load conditions in line with significantly CPU core temperatures, as detailed below. However, for the sake of completeness I did not remove the respective description so far. With CPU max. load conditions, I refer to the max. turbo frequency (e.g. 4.4 Ghz for the i9-7980XE) applied to ALL cores! 1.) The /EFI/Clover/drivers64UEFI/-directory of my most actual respective X299 EFI-Folder distribution contains by default AptioMemoryFix.efi thanks to @vit9696. Note that with Clover_v2.4k_r4392, AptioMemoryFix.efi has become an official Customization Option of Clover and can now be selected and therefore also just easily implemented in the frame of the Clover Boot Loader Installation. By means of my Vega SSDT PCI device implementation outlined in Section 9.2.2, all available ports on the Gigabyte Vega 64 (3x HDMI, 3x DP), including multi-monitor support and display hot plug are automatically and successfully implemented. However, it seems that DP-port issues (black screen) remain, when employing the respective Vega SSDT PCI device implementation on Sapphire Nitro+ Vega 64 (2x HDMI, 2xDP) or ASUS Strix Vega 64 (2x HDMI, 2x DP, 1x DVI) GPUs, which only can be removed by adding Whatevergreen.kext v.1.2.2. Within such configuration, multi-monitor support and display hot plug can be fully achieved also in case of the latter custom Vegas (both 10.13.6 and 10.14 PB8). A fall-back to the formerly used Kamarang frame buffer SSDT implementation of @apfelnico does not provide any valuable solution for these kind of custom Vegas. Also note that Whatevergreen.kext only seems required for all Vegas possessing less than 6 physical ports (including the original Vegas like Frontier and Vega 64), else the current Vega SSDT PCI device implementation does pretty well it's job. Only remaining issue yet to be solved: black screen on wake under both 10.13.6 and 10.14 PB8. c.) All Users with Maxwell and Pascal Nvidia Graphics Cards Users and SMBIOS MacPro1,1 can employ officially distributed Nvidia 10.13 Web Drivers for their Nvidia Pascal and Maxwell graphics cards! Upon my request from 7 January 2018, Nvidia officially released first WebDriver-387.10.10.10.25.105 for 10.13.2 (17C2120) and first WebDriver-387.10.10.10.25.106 for 10.13.2 SA (17C2205) - Supplemental Update on 11 January 2018. On 25 January 2018, Nvidia released a Web Driver 387.10.10.10.25.157 for 10.13.3 (17D2047), which worked flawless with Pascal GPUs (lagging issues have been reported for Maxwell GPUs). On 20 February 2018, Nvidia released a Web Diver 387.10.10.10.30.159 for 10.13.3 SA (17D2102). On 31 March 2018 and 18 April 2018, Nvidia also released Web Driver 387.10.10.10.30.103 and 387.10.10.10.30.106 for 10.13.4 (17E199). On 25 April 2018, Web Driver 387.10.10.10.30.107 has been released for 10.13.4 SU (17E202). On 02 June 2018, finally we Driver 387.10.10.10.35.106 followed for 10.13.5 (17F77). On 11 July 2018, Nvidia released final 10.13.6 (17G65) WebDriver-387.10.10.10.40.105 . 3.) Avoid any MacOS assignments in KextToPatch and KernelToPatch entries implemented in the "Kernel and Kext Patches" Section of the Clover Configurator. If subsequently in my Guide you still find MatchOS assignments in respective figures or text, just ignore all likely yet persistent MatchOS assignments. In the config.plist of the EFI-Folder contained in my most actual respective X299 EFI-Folder distribution, all MatchOS assignments have been definitely removed. 7.) To avoid Skylake-X thread TSC desynchronisation errors during boot and wake from S3 with X299 mainboards, likely induced by yet erroneous Skylake-X BIOS microcode implementations, we need to use TSCAdjustReset.kext provided by @interferenc in the /EFI/CLOVER/kexts/Other/ directory of both USB Flash Drive and System Disk. 8.) Already during the first Beta Versions of macOS 10.13 High Sierra, Apple forced the beta users to use the new Apple file system APFS in case of a Clean Install/update of MacOS High Sierra 10.13. Also within macOS High Sierra 10.13.6 (17G65) this is the case. Most APSF incompatibilities with available system related software apparently have been already removed. All recent versions of Carbon Copy Cloner (CCC) support the direct cloning of APFS system disks and provide the previously missing option for APFS system backups. Until Boot-Loader Distribution Clover_v2.4k_r4210, it was also impossible to install the Clover Boot-Loader in the EFI-Partition of an APFS System Disk by means of the Clover Boot-Loader Installer Package (the Clover Boot-Loader files had to be added manually). However, all recent Clover Boot-Loader Distributions work absolutely flawless with APFS System Disks. To successfully compile the AppleALC, NvidiaGraphicsFixup and Whatevergreen source code distributions with Xcode 9.4 under macOS High Sierra 10.13.6 (17G65), download, unzip and copy the respective actual Lilu DEBUG distribution to the AppleALC, NvidiaGraphicsFixup and Whatevergreen source code distribution directories. To compile the respective Lilu, AppleALC, and NvidiaGraphicsFixup source code distributions just execute the terminal command "xcodebuild" after changing to the respective source code distribution with the "cd" terminal command. The resulting compiled kexts can be always found in the respective /build/Release/ sub-directories of the respective source code distribution directories. 11.) To clearly get kernel panic images with a call trace in case of kernel panics, I implemented (checked) boot flags "debug=0x100" and "keepsyms=1" in the config.plist of ,my most actual respective X299 EFI-Folder distribution in the "Boot" Section of Clover Configurator under "Arguments". 12.) Note that in my most actual respective X299 EFI-Folder distribution, I also removed CsmVideoDxe-64.efi from /EFI/CLOVER/drivers64UEFI, as the latter file is only required for proper Legacy screen resolution purposes with CSM enabled, which is definitely not our case. 1.) Download and unzip my most actual respective X299 EFI-Folder distribution and copy the therein contained EFI-Folder to your Desktop. 2.) Open the config.plist in /EFI/Clover/ with the latest version of Clover Configurator (>/= v.4.60.0), proceed to the "SMBIOS" Section and complete the SMBIOS iMacPro1,1 Serial Number, Board Serial Number and SMUUID entries. These details are mandatory to successfully run iMessage and FaceTime on your iMac Pro System. Note that all other iMacPro1,1 SMBIOS Details are already implemented in the config.plist of my most actual respective X299 EFI-Folder distribution. 3.) Copy the appropriate TSCAdjustRest.kext, which has been modified in error prevention C.7), to the /EFI/CLOVER/kexts/Other/ directory of the EFI-Folder. 6.) After successful boot, you will enter now the macOS High Sierra 10.13 Installer Screen with a progress bar starting at 43minutes. After the successful clean install or conversion you are be able to update your iMac Pro macOS High Sierra 10.13.6 (17G65) build to macOS Mojave Public Betas directly via the Appstore. For further details see my macOS 10.14 X299 Build and Desktop Guide. For macOS beta builds it is recommended to clone your macOS High Sierra System Disk with Carbon Copy Cloner (CCC) to a test drive and to update to the Public Beta on the latter. On Skylake-X/X299 Systems with unlocked mainboard BIOS MSR 0xE2 BIOS register and SMBIOS iMacPro1,1 we gain fully native HWP (IntelSpeedShift) Power Management after disabling the last remaining XCPM KernelToPatch entry "xcpm_core_scope_msrs" in the config.plist under Section "Kernel and Kext Patches" of Clover Configurator, which by default is still implemented but disabled in the config.plist of my most actual respective X299 EFI-Folder distribution. By means of my Vega SSDT PCI device implementation outlined in Section 9.2.2, all available ports on the Gigabyte Vega 64 (3x HDMI, 3x DP), including multi-monitor support and display hot plug are automatically and successfully implemented. However, it seems that DP-port issues (black screen) remain, when employing the respective Vega SSDT PCI device implementation on Sapphire Nitro+ Vega 64 (2x HDMI, 2xDP) or ASUS Strix Vega 64 (2x HDMI, 2x DP, 1x DVI) GPUs, which only can be removed by adding Whatevergreen.kext v.1.2.2. Within such configuration, multi-monitor support and display hot plug can be fully achieved also in case of the latter custom Vegas (both 10.13.6 and 10.14 PB8). A fall-back to the formerly used Kamarang frame buffer SSDT implementation of @apfelnico does not provide any valuable solution for these kind of custom Vegas. Also note that Whatevergreen.kext only seems required for all Vegas possessing less than 6 physical ports (including the original Vegas like Frontier and Vega 64), else the current Vega SSDT PCI device implementation does pretty well it's job including fully successful system sleep/wake..
All Users with Maxwell and Pascal Nvidia Graphics Cards on SMBIOS iMacPro1,1 can employ officially distributed Nvidia 10.13 Web Drivers for their Nvidia Pascal and Maxwell graphics cards! Upon my request from 7 January 2018, Nvidia officially released first WebDriver-387.10.10.10.25.105 for 10.13.2 (17C2120) and first WebDriver-387.10.10.10.25.106 for 10.13.2 SA (17C2205) - Supplemental Update on 11 January 2018. On 25 January 2018, Nvidia released a Web Driver 387.10.10.10.25.157 for 10.13.3 (17D2047), which worked flawless with Pascal GPUs (lagging issues have been reported for Maxwell GPUs). On 20 February 2018, Nvidia released a Web Diver 387.10.10.10.30.159 for 10.13.3 SA (17D2102). On 31 March 2018 and 18 April 2018, Nvidia also released Web Driver 387.10.10.10.30.103 and 387.10.10.10.30.106 for 10.13.4 (17E199). On 25 April 2018, Web Driver 387.10.10.10.30.107 has been released for 10.13.4 SU (17E202). On 02 June 2018, Web Driver 387.10.10.10.35.106 followed for 10.13.5 (17F77). On 11 July 2018, Nvidia released final 10.13.6 (17G65) WebDriver-387.10.10.10.40.105 . Apparently with SMBIOS iMacPro1,1, the Nvidia Black Screen Prevention has become obsolete. Thanks to @fabiosun from InsanelyMac for this finding. Thus, NvidiaGraphicsFixup.kext, subverting AppleMobileFileIntegrity banning the driver can be theoretically removed from the /EFI/CLOVER/kexts/Other/ directory of your macOS Flash Drive Installer and 10.13 System Disk. However, the most actual releases of Whatevergreen v.1.2.2 and Lilu.kext v1.2.7 apparently help in fixing the Nvidia HDAU implementation and sporadic black screen issues while wake from sleep. Thus, the latter kext combination might still represent potential workarounds for few likely remaining system issues. My most actual respective X299 EFI-Folder distribution does not contain any default audio configuration. You have to implement the audio approach of your choice during the Post Installation process! Please select between one out of three possible audio implementations detailed below. To avoid the loss of analogue onboard audio (S1220A in case of the ASUS Prime X299 Deluxe) on Wake from Sleep, please download, unzip and copy the latest CodecCommander.kext distribution of @RehabMan from bitbucket.org to the /EFI/Clover/kexts/Other directory in the EFI-Folder of your System Disk: https://bitbucket.org/RehabMan/os-x-eapd-codec-commander/downloads/. The actual AppleALC audio implementation traces back to the extensive efforts and brilliant work of @vit9696 and @apfelnico . This new AppleALC audio approach bases on AppleALC.kext v1.3.2, which further requires the Lilu.kext v1.2.7 in the /EFI/CLOVER/kexts/Other/ directory of your System Disk. Provided that you use the EFI-Folder of my most actual respective X299 EFI-Folder distribution, you need to open the config.plist in the /EFI/CLOVER/ directory of your System Disk with the Clover Configurator and add the CAVS -> HDEF ACPI replacement patch in Clover Configurator Section "ACPI" under "DSDT Patches". The correct HDAU HDMI/DP digital Audio PCI implementation will be detailed in Section E.9) in line with the HDEF and GPU PCI device implementation. 1.) Remove AppleALC.kext v1.3.2 from the /EFI/CLOVER/kexts/Other/ directory of your System Disk. 1.) Provided that you use the EFI-Folder of most actual respective X299 EFI-Folder distribution, you need to open the config.plist in the /EFI/CLOVER/ directory of your System Disk with the Clover Configurator and add the CAVS -> HDEF ACPI Replacement Patch in Clover Configurator Section "ACPI" under "DSDT Patches". 2.) Download VoodooHDA.kext v2.9.0d10 to your Desktop. Mouse Right-Click on VoodooHDA.kext -> select "Show Package Contents" -> click on "Contents" -> Right-Click on "Info.plist" -> "Open With" -> "Other" -> select "TextEdit.app"
b.) Download, unzip and run the IORegistryExplorer.app attached at the end of this originating post/guide. @toleda 's cloverALC audio approach has been implemented thanks to the respective advices and help of user @Ramalama. Note that in contrary to the AppleALC and VoodooHDA approaches, the cloverALC audio approach detailed below will patch the native vanilla AppleHDA.kext in the /S/L/E directory of your System Disk! This before implementing the cloverALC audio approach, backup your native vanilla AppleHDA.kext from the /S/L/E directory on your System Disk! You will have to reinstall the native vanilla AppleHDA.kext from the /S/L/E directory on your System Disk with the appropriate permissions during a removal of the cloverALC Audio Implementation! Thus you need a backup of the latter native vanilla kext in any case! 1.) Provided that you use the EFI-Folder of my most actual respective X299 EFI-Folder distribution you need to open the config.plist in the /EFI/CLOVER/ directory of your System Disk with the Clover Configurator and add the CAVS -> HDEF ACPI Replacement Patch in Clover Configurator Section "ACPI" under "DSDT Patches". 2.) Change the Audio ID Injection in the config.plist on your System Disk in Section "Devices" under "Audio" and "Inject" to "1". 3.) Disable in the config. plist the CAVS -> HDEF ACPI Replacement Patch in Clover Configurator Section "ACPI" under"DSDT Patches". Since 10.13 SU and with AppleIntelPCHPMC, Apple now implements IOPCIPrimaryMatchID "a2af8068" and AppleUSBXHCISPT on the ASUS Prime X299 Deluxe. All external and internal XHC USB 3.0 (USB 3.1 Gen 1 Type-A) and USB 2.0 (USB 2.0 Gen 1 Type-A) ports should work at expected data transfer rates on all X299 mainboards. All external and internal USB 3.1 (USB 3.1 Gen 2 Type-A and Type-C) ports are anyway natively implemented on different controllers than XHC. All ASUS Prime X299 Deluxe users, not content with the current OSX XHC USB implementation, can download, unzip and use my board-specific XHC USB Kext KGP-iMacPro-XHCI.kext in /EFI/Clover/kexts/Other/. All users of mainboards different from the ASUS Prime X299 Deluxe, can create their own board specific XHC USB kext by following my XHC USB Kext Creation guide line https://www.tonymacx86.com/threads/macos-high-sierra-10-13-xhc-usb-kext-creation-guideline.242999/. Note that in addition one needs to implement the XHC USB port limit patch in the config.plist under "KextsToPatch" in Section "Kernel and Kext Patches" of Clover Configurator, as else not all available XHC USB ports will be implemented. Many thanks to @PMheart from InsanelyMac for providing the respective XHC USB port limit patches. For the individual USB 3.1 Type-A and Type-C Connectors Benchmark, I used the external Lacie Rugged Thunderbolt / USB Type-A and Type-C HDD. Macs only enable TRIM for Apple-provided solid-state drives they come with. If you upgrade a Mac with an aftermarket SSD/NVMe, the Mac won’t use TRIM with it. The same applies for SSDs/NVMes used by a Hackintosh. When an operating system uses TRIM with a solid-state drive, it sends a signal to the SSD/NVMe every time you delete a file. The SSD/NVMe knows that the file is deleted and it can erase the file’s data from its flash storage. With flash memory, it’s faster to write to empty memory — to write to full memory, the memory must first be erased and then written to. This causes your SSD/NVMe to slow down over time unless TRIM is enabled. TRIM ensures the physical NAND memory locations containing deleted files are erased before you need to write to them. The SSD/NVMe can then manage its available storage more intelligently. Note that the config.plist of my most actual respective X299 EFI-Folder distribution contains an SSD/NVMe "TRIM Enabler" KextsToPatch entry, which can be found in the " Kernel and Kext Patches" Section of the Clover Configurator. Thanks to the SmallTree-Intel-211-AT-PCIe-GBE.kext, also the Intel I211_AT Gigabit on-board LAN controller of the ASUS Prime X299 Deluxe will be correctly implemented and fully functional, in addition to the Intel I219-V Gigabyte on-board LAN controller of the ASUS Prime X299 Deluxe implemented by means of IntelMausiEthernet.kext (already part of my EFI-Folder distributions). Thus, both ethernet ports on the ASUS Prime X299 Deluxe should now be fully operational..
Just download , unzip and copy the SmallTree-Intel-211-AT-PCIe-GBE.kex attached below to the /EFI/Clover/kexts/Other/, reboot and you should be done. Starting with 10.13.2 there is native support for Aquantia based 10GBit network cards, which are implemented by means of a Apple Vanilla kext called "AppleEthernetAquantiaAqtion.kext", which is further part of "IONetworkingFamily.kext/Contents/PlugIns/" placed in /System/Library/Extensions/ (credits to @mikeboss). First success with the ASUS XG-C100C under MacOS 10.13.3 has been reported by @d5aqoep. @Mieze finally came up with a AppleEthernetAquantiaAqtion KextPatch for the use of the ASUS XG-C100C also under 10.13.4 and and later macOS versions. For further information and discussion see https://www.tonymacx86.com/threads/high-sierra-native-support-for-10gb-ethernet.239690/ or https://www.insanelymac.com/forum/t...7-10-gbe-native-support-in-high-sierra-10132/. 1.) A temporal macOS High Sierra 10.13.3 (17D2047 in case of the iMac Pro) installation is absolutely mandatory at first place. Only within the latter macOS High Sierra build, the ASUS XG-C100C will receive the proper AQC107 Apple firmware to be recognised and fully implemented by OSX. The firmware update will be performed during system boot. Several boot intents might be necessary until the firmware update finally succeeds. Only subsequently, the ASUS XG-C100C will be natively implemented in macOS High Sierra 10.13.3 and fully functional. 4.) Note that after the firmware update under macOS High Sierra 10.13.3, the ASUS XG-C100C will refuse the official Windows Lan drivers provided by ASUS and will only work with Apple's customised Aquantia64v2.0.015.0 boot camp drivers attached below. In order to properly implement all PCI device drivers on his/her system and build, one needs adequate ACPI DSDT Replacements and a sophisticated system SSDTs. Both requirements have been originally successfully implemented for the ASUS Prime X299 Deluxe by our gorgeous @apfelnico with partial contributions of @TheOfficialGypsy. Many thanks for the extensive efforts and extremely fruitful and brilliant work! Subsequently, I adopted the ACPI DSDT Replacements and system SSDTs in concordance with SMBIOS iMacPro1,1. Some ACPI DSDT Replacements are still part of the config.plist contained in my most actual respective X299 EFI-Folder distribution. Others are part of my System SSDTs provided in my X299-System-SSDTs Github repository. How to adopted or modify the ACPI DSDT Replacement Patches and System SSDT implementations is detailed in post #4806 by means of the OSXWIFI PCIe Adaptor implementation in PCIe Slot-3. I hope that by this specific example it rapidly becomes evident that the correct PCI Device implementation cannot be outlined for each individual "build-in" or "slot-specific" PCI device within this guide. The complexity and effort would just exceed by far all available capacities and indeed require the implementation of a separate guide and thread in addition. I therefore hope on your skills and flexibility to extend and apply the approach and methodology detailed above to any other "build-in" or "slot-specific" PCI device yet to be adopted or implemented. Note once more that all required ACPI DSDT Replacements are already implemented in the config.plist in the /EFI/CLOVER/ directory of my most actual respective X299 EFI-Folder distribution or are directly part of the System SSDTs provided in my X299-System-SSDTs Github repository. In the config.plist, the ACPI DSDT Replacements are disabled by default, thus we will now open the config.plist in the /EFI/CLOVER/ directory of our 10.13 System Disk EFI-Folder with Clover Configurator and stepwise adopt (if necessary) and enable the different required DSDT replacement patches in Clover Configurator Section "ACPI" under "DSDT patches", by also discussing their respective function and impact. i.) XOSI functionality is required as explained by @RehabMan (just follow this LINK forfurther details). d.) The LPC0 -> LPCB ACPI DSDT Replacement Patch is AppleLPC and SMBus related and is applied for consistency with the variable naming on a real Mac. Note that LPCB injects AppleLPC, which however is not required in the X299 environment. X299 Systems seem to have sleep problems with the SMBus properties injected. Thus, LPCB will not be implemented by means of any SSDT. g.) The DSM -> XDSM DSDT replacement patch is vital for properly loading the System SSDTs and TB-SSDTs, as all DSM methods used in theoriginal DSDT do have a not compatible structure totally different from the real Mac environment. Without any fix, all DSM methods would be simply ignored. Note that one single device can have only one DSM method, which can assign additional properties to the respective device. are i9-7980XE specific and yield a proper CPU thread reordering as well as a iMac Pro specific CPU thread variable naming. For further information and related discussions, see e.g. post #9883 and #9885..
Everybody can change the respective Vega properties by means of VGTab-en.app (thanks to @mm2margaret for pushing me to this solution), which provides a modified "PP_PhmSoftPowerPlayTable" (output-file VegaTab_64_data.txt), which can replace the "PP_PhmSoftPowerPlayTable", currently implemented in my SSDT-X299-Vega.aml distribution. E.g. users with a water-blocked Nitro+ Vega 64 like myself want to further screw the max. GPU OC frequencies, etc., while others might want to further improve the fan speed behaviour on air-flow Vegas..
As already mentioned before, within my current Vega SSDT PCI device implementation, all available ports on the Gigabyte Vega 64 (3x HDMI, 3x DP), including multi-monitor support and display hot plug are automatically and successfully implemented. However, it seems that DP-port issues (black screen) remain, when employing the respective Vega SSDT PCI device implementation on Sapphire Nitro+ Vega 64 (2x HDMI, 2xDP) or ASUS Strix Vega 64 (2x HDMI, 2x DP, 1x DVI) GPUs, which only can be removed by adding Whatevergreen.kext v.1.2.2. Within such configuration, multi-monitor support and display hot plug can be fully achieved also in case of the latter custom Vegas (both 10.13.6 and 10.14 PB8). Whatevergreen.kext only seems required for all Vegas possessing less than 6 physical ports (including the original Vegas like Frontier and Vega 64), else the current Vega SSDT PCI device implementation does pretty well it's job, including successful system sleep/wake..
Until reaching a complete Thunderbolt Hackintosh Local Node implementation, SSDT-X299-TB3HP-TTR.aml (for GC-Titan Ridge and ASUS TBEX 3) and SSDT-X299-TB3HP-APR.aml (for GC-Alpine Ridge) constitute workarounds for achieving TB HotPlug and TB XHC USB HotPlug functionality with the respective TB3 PCIe Add-In adopters. Note once more that with the GC-Titan Ridge, HotPlug functionality can be reached with the THB_C connected. For HotPlug with the other TB adaptors, the THB_C must be removed from most of the available mainboards. For all TB3 SSDTs provided above, partial contributions by @apfelnico, @nmano, @Mork_vom_Ork , @Matthew82, @maleorderbrideand @TheRacerMaster shall be mentioned and outlined. Their use with mainboards different from ASUS and within PCIe slot populations different from PCIe Slot 4 requires the adaptation/modification of respective ACPI path definitions ("PC01", "BR1A") or ACPI DSDT Table replacements (SL01 -> PEGP and PEGP -> UPSB), directly performed within the SSDTs. Like always, I verified TB HotPlug with my 5 TB Lacie Rugged Thunderbolt 2 HDD(+ Apple TB3 -> TB2 adopter) and TB USB-C HotPlug with my Transcend JetFlash 850USB 3.1 Type-C Stick. 1.) Both NIH and USB-C drivers must appear as installed under "PCI" of Apple's system report. 2.) When inspecting your IOREG results, UPSB, DSB0, NHI0, DSB1, DSB2, XHC5 and DSB4 must be always part of your APCI table! TB HotPlug and USB-C HotPlug will only work if conditions 1.) and 2.) are true and fulfilled. If conditions 1.) and 2.) are not fulfilled, usually SSDT-X299-TB3HP-TTR.aml or SSDT-X299-TB3HP-APR.aml has not been properly adopted on the respective system and fails to load during boot. If SSDT-X299-TB3HP-TTR.aml or SSDT-X299-TB3HP-APR.aml has been properly implemented, but conditions 1.) and 2.) are still not fulfilled, the problem has to be traced back to an improper or incomplete Windows initialisation of the respective TB-Adopter or to incompatible TB BIOS settings or hardware configurations (check whether the THB_C needs to be plugged or removed to achieve condition 1.) and 2.) under macOS). The need for plugging or unplugging the THB_C cable might also be mainboard and TB device specific. For achieving a TB HotPlug and USB-C HotPlug environment, usually THB_C needs to be plugged in case of the GC-Titan Ridge and unplugged in case of the GC-Titan Alpine Ridge and TBEX 3. General reminder for everybody: Never use your TB Adopter under Windows with unplugged THB_C! If nothing helps in achieving conditions 1.) and 2. ), an incompatibly or malfunction of the TB adopter and/or respective mainboard also cannot be excluded. It might be nice to equip your iMac Pro X299 also with the adequate iMac Pro Desktop Background. Now your Logic-X distribution should work absolutely flawless. To check the now flawless functionality and performance of Logic-X, download, unzip and run the attached Logic-X test sample Test Hyperthreading Bug.logicx.zip of @DSM2 attached at the bottom of this originating post/guide. Note that the test sample sound volume output is zero, for avoiding epileptic or panic attacks at audience side... this is just a test sample to check the Logic-X functionality and performance and not a chart breaking audio sample. Thanks to extended tweet session between @BJango, @gxsolace and myself, we achieved a major step forward in properly monitoring Skylake-X/X299 Hardware with iStatMenus. iStatMenus now correctly interfaces with the HWSensor and FakeSMC kext distribution provided by @interferenc. Already during the first individual macOS High Sierra 10.13 beta releases, Syklake-X/X299 systems reached full functionality together with flawless stability. Now with final macOS High Sierra 10.13.6 (17G65), it might be the right moment to follow my build and Desktop Installation Guide to unfold the unbelievable Skylake-X/X299 potential together with macOS High Sierra 10.13 (special iMac Pro build)! I am a scientist, expert in solar physics, space weather forecast and related telescope/instrument/space-mission development. In the frame of my scientific research, I developed parallelized image reconstruction, spectral line inversion and numerical modeling algorithms/applications, which require tremendous parallelized calculation power, RAM memory and storage capacities to reduce, analyze and interpret extensive and pioneering scientific ground-based or space-born observational data sets. This basically was also the professional motivation for developing my innovative iMacPro macOS High Sierra Hackintosh Build iSPOR-S (the imaging Spectropolarimetric Parallel Organized Reconstruction Server running iSPOR-DP, the Imaging Spectropolarimetric Parallel Organized Reconstruction Data Pipeline software package for the GREGOR Fabry-Pérot Interferometer, located at the 1.5m GREGOR Solar Telescope (Europe's largest solar telescope) on Tenerife, Canary Islands, Spain) and for the entire respective iMac Pro Skylake-X/X299 Desktop User Guide Development, which hopefully will be also of benefit for others.